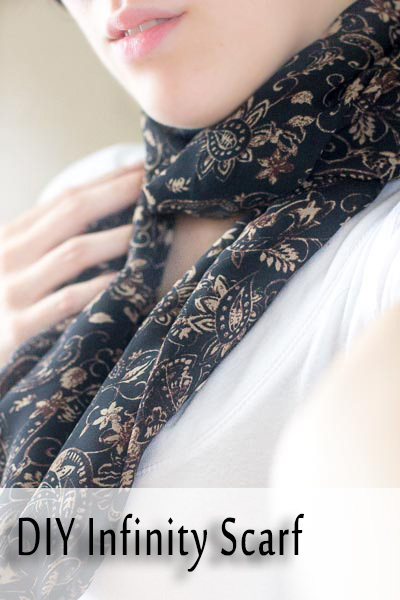 Today I wanted to share a quick tutorial on how to create an Infinity Scarf. Is really quick and easy, I promise. I am just a beginner, so I don’t do anything complicated just yet. 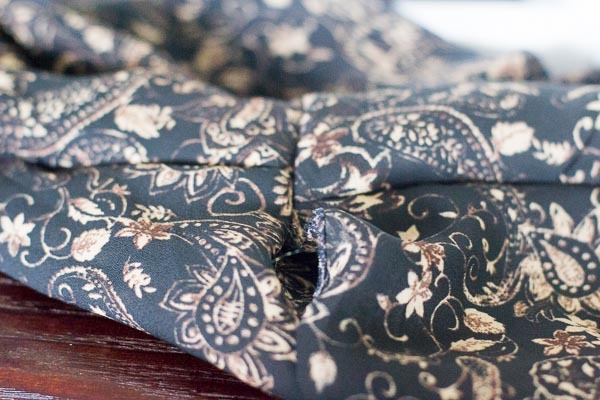 For this project you can use almost any type of fabric. And you will need very little of it. 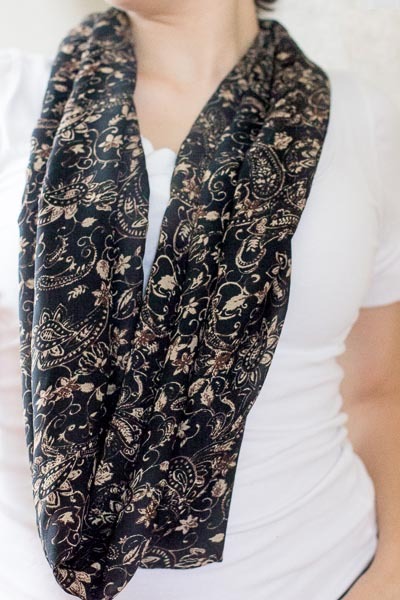 In no time you can have a finished scarf for yourself or to gift. 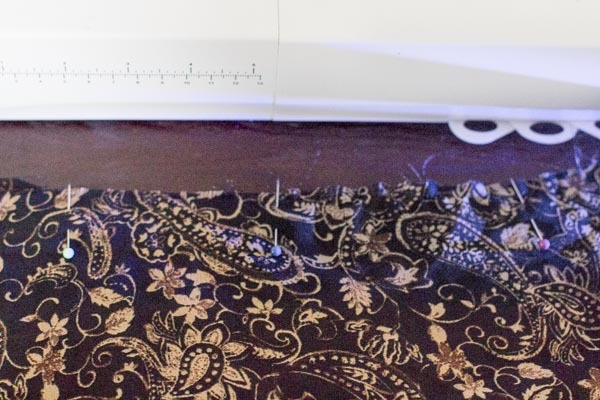 You will need 43 inches by 15 inches of your choice if fabric. Making sure to have the rights sides together, fold your fabric in half the long way. This will form like a tube. Now, pin along the long edge, leaving the short edges unpinned. 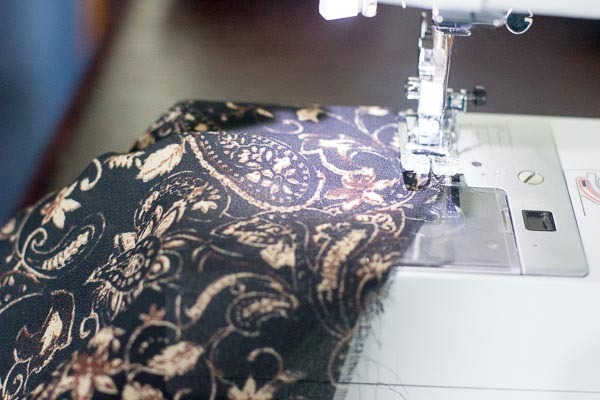 Now, sew the long way that you just pinned. As you can see in the picture, the fabric I used frays, so I used a zig-zag stitch. But depending on your fabric, you could use a straight stitch. Now, putting your hand inside the “tube”, go all the way to the other end, grab the end and pull it inside out. Now, you will need to match the edges as good as you can, and sew the ends for as long as you can. You will have a little opening, but that’s ok. Finish by sewing the opening by hand. I hope that the instructions are easy to follow. If you have any questions let me know. I also considered filming a video while making it, to make the instructions a little easier to follow. Let me know if that is something you will be interested in. HELLO! I’m Mary, welcome to my blog. Bloggers: Are you seeking designs for your upcoming roundup? I’d love for you to feature my work! You have my permission to use one photo in your roundup post as long as a link is provided back to the associated pattern page. Please let me know when your post is published so I can share it on my social media, too. Thank you!